Add a splash of color and a dash of charm to your home with the Red Metal Pitcher. 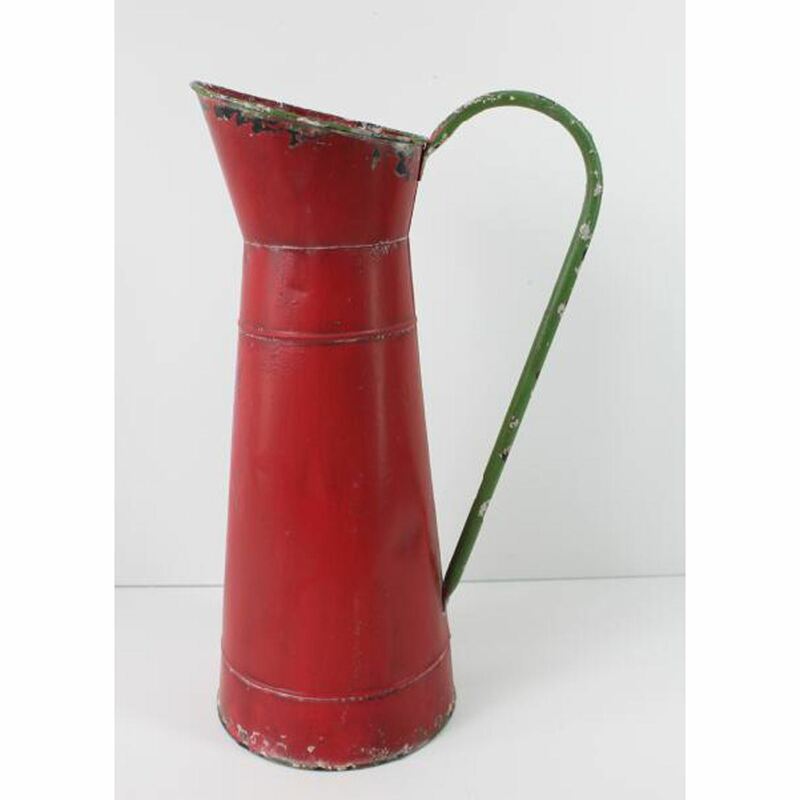 This metal pitcher features a simple, classic shape enhanced by a distressed antique red finish. Add a splash of color and a dash of charm to your home with the Red Metal Pitcher. 16 X 7 X 7.